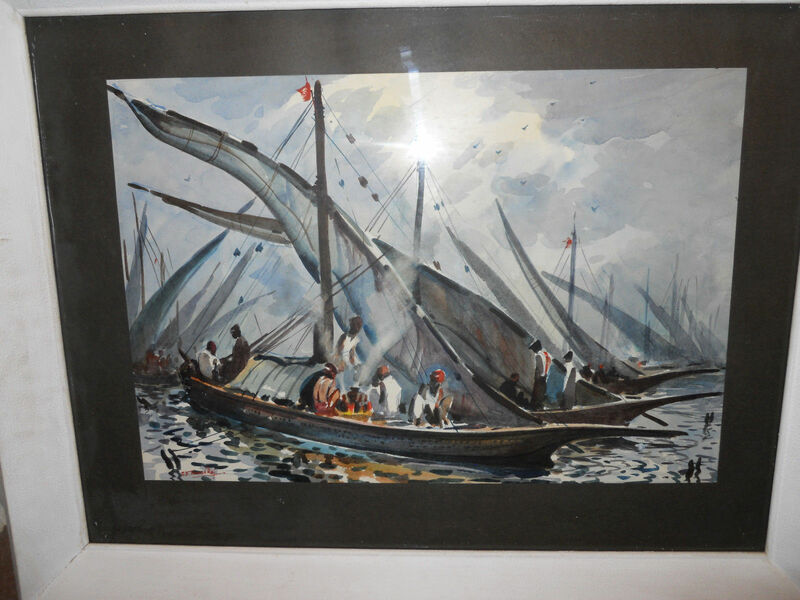 I just purchased this nice water scene by Thyagaraj two weeks ago, it was selling on Ebay. Got it for a very reasonable price. I will take some better photos when I remove it from the frame as the frame needs to be glued a little. 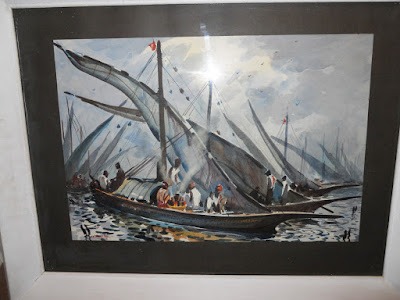 It has a sticker on the back saying it was framed in Park Street in Calcutta, where I lived between 1957 and 1974 (off and on). Hope you like it.